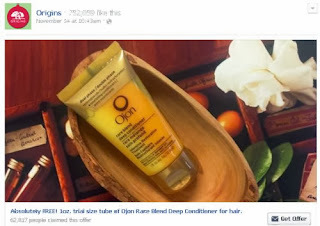 Get a free Ojon conditioner @ Origins. Click the link below to go to the Origins Facebook page. Once on the Origins Facebook Page "Like" them then click on get offer to get a free sample.They will send you an email to get the offer.